The Acute Loss Period is a process that we all go through after the loss of a loved one, it is non-negotiable. 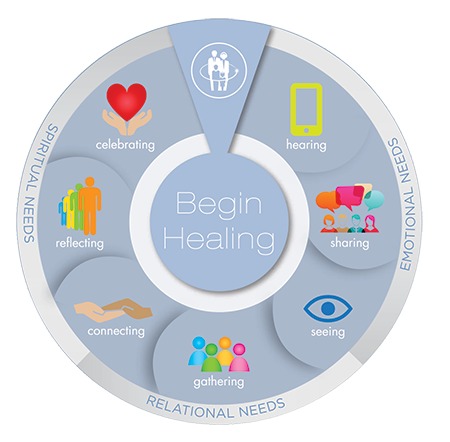 As you look at the diagram below, you can see the outer rim portrays the emotional, relational and spiritual needs that every family will need to address. The inner circle demonstrates the seven phases of the Acute Loss Period that align with those needs. Every person touched by the loss will go through every step. We know that “family” is the tie that binds people and communities. Saying “Farewell” to a loved one in a way that satisfies the needs your family faces following a loss is powerful and leaves a lasting imprint on the lives of those who carry on.